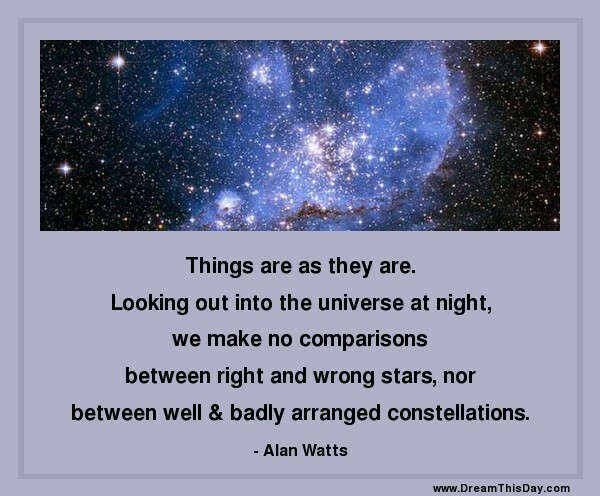 nor between well and badly arranged constellations. There are two very different kinds of "Reality:"
1. What is really out there, and which none of us can accurately perceive. 2. The "personal reality" that each of us perceives differently from any other human. Nature is neither virtuous nor evil, it just IS. Assign no moral judgement to stars or mountains, sunshine or hurricanes.